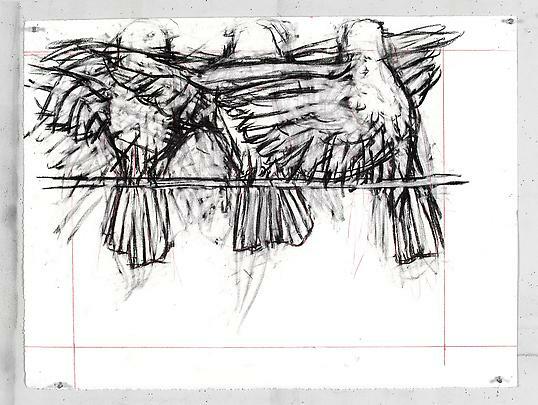 Marian Goodman Gallery is pleased to announce an exhibition of new work by William Kentridge which will open on January 19th and will be on view through February 25th. 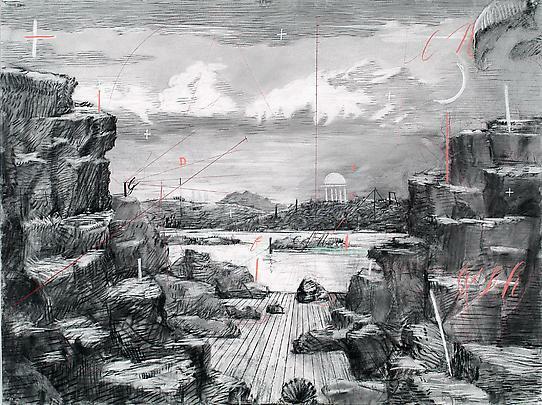 On view will be fifty working drawings and fragments used in the creation of the scenic design and animation for The Magic Flute, the Mozart opera given brilliant interpretation by William Kentridge in a long-awaited production this past spring (2005) which premiered at the Theatre Royal de la Monnaie, Brussels where it recently had a second run this September. Related to the drawings, Kentridge will exhibit a working model, a theater-in-miniature, used in preparation for the full-length opera . The model, which incorporates front- and rear- projections on its screen, legs and borders, presents elements of the full-scale production, in-depth projections, and sound. 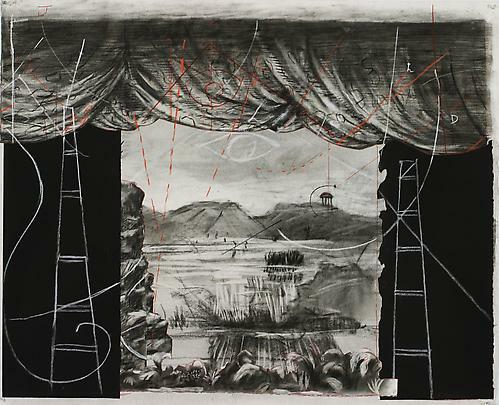 The drawings and models on view are the second stage of working materials related to the fully realized production of the opera The Magic Flute, which featured the direction of William Kentridge; the musical direction of Rene Jacob and Piers Maxim; and the set decoration of William Kentridge and Sabine Theunissen. The next years will see the worldwide tour of the production as it travels to Caen and Lille, France; Tel Aviv, Israel; and Naples, Italy in 2006-07, as well as Johannesburg, Brussels, and to the Brooklyn Academy of Music New York in the spring of 2007. 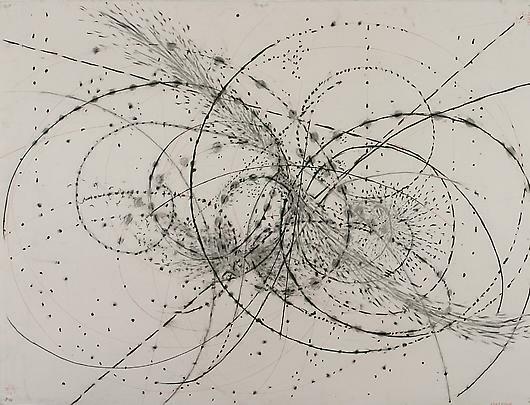 The first stage was presented last year in the form of drawings and projections onto blackboard, in a work titled Learning the Flute (2003). 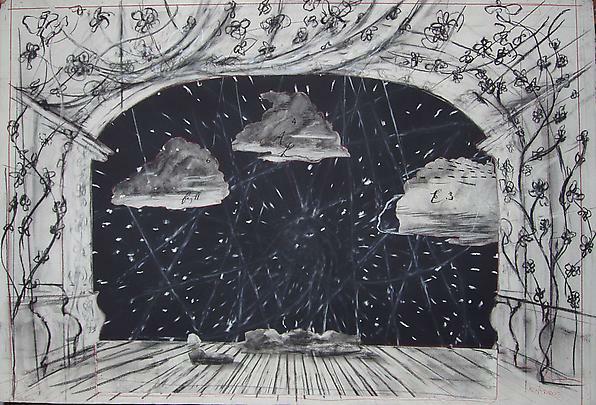 In both stages of Kentridge's preparatory studies, the tonal contrast and inversion of positive and negative within the drawings refers to a broad photographic metaphor relevant to the overall meaning of the drama, illustrating the two realms of Mozart's opera: with black associated with darkness, the moon and the figure of the Queen of the Night, and white with lightness, the sun, and the figure of Sarastro. 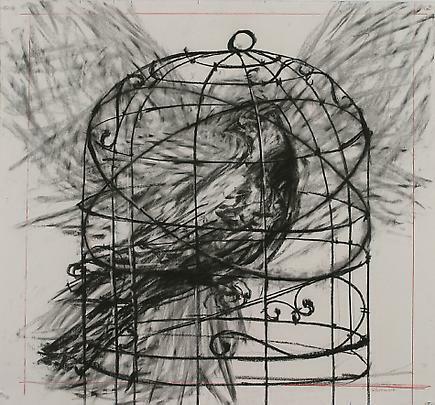 The renderings by Kentridge, and the metaphor of illuminated shadows, point to inherent contradictions within the areas of wisdom, the Enlightenment,and authority. This theme is explored and continued in a newly commissioned work by the artist recently completed for the Deutsche Guggenheim Berlin: Black Box/Chambre Noir, 2005, a project whose subject is also knowledge, violence and the Enlightenment, particularly Germany's colonial history in Africa and the massacre of the Hereros in 1904. 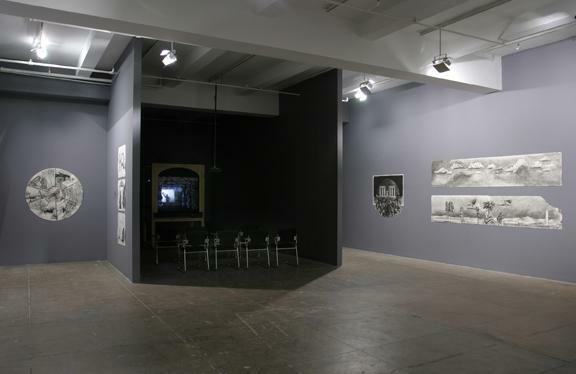 The exhibition, which opened at the Deutsche Guggenheim Berlin on October 29th 2005, will be on view through January 15, 2006. In his program notes Kentridge writes about the multiplication of implications within the opera: "At the end of the opera we are in the temple of the sun, the theater filled with a pure light. In projection terms, we are at the end of the film….our only hope in cinema is to make sense from the interplay between shadow and light—the platonic clarity of staring at the sun is the expiration of truth and meaning rather than its creation. … There is a clue here as to our reaction to Sarastro's teachings. The years since Mozart wrote the opera have made us more wary of philosopher autocrats. The enforced bringing of wisdom has had unintended but calamitous consequences all through the years, not just in the Robbespierian terror of the years immediately after the writing of the opera, but throughout the colonial era, and throughout our own century. 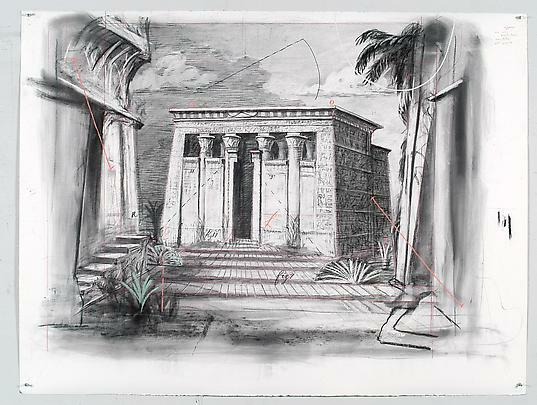 Though we may believe in Sarastro's benevolent guidance, in the end we believe in Mozart more, in his mix of the rational, the fantastic, the contradictory.."
William Kentridge's work has been exhibited widely throughout the world. He was the recipient in 2003 of the Kaiserring Prize, Monchehaus-Museum for Moderne Art, Goslar, and in 2000 of the Carnegie Prize, Carnegie Museum of Art, Pittsburgh for his contributions to contemporary art. His recent one-man retrospective, which originated at Castello di Rivoli, Italy, has just opened in its only U.S. venue of the tour at Miami Art Central (MAC) and can be seen there through May of this year. Earlier legs of the tour included, in addition to Castello di Rivoli, K-21 Kunstsammlung Nordrhein-Westfalen, Dusseldorf; Museum of Contemporary Art, Sydney; Musee d'Art Contemporain, Montreal, and the Johannesburg Art Gallery, Johannesburg. Two previous survey shows have toured internationally: one in the U.S. in 2001 which traveled from Washington, to New York, Chicago, Houston, Los Angeles and Cape Town, and one in Europe in 1988-1999 which was seen in Brussels, Munich, Barcelona, London, Marseille, and Graz. The artist's work has been included in many important group exhibitions including recently, The Experience of Art, at the 51st Venice Biennale, 2005; Documenta II, Kassel, 2002; the Carnegie International, 1999; Documenta I0, 1997; The 10th Sydney Biennale, Sydney, 1996, and numerous others. Please join us at the opening reception for the artist on Thursday, January 19th, from 6-8 p.m.